Dear Friends and Family, the Patreon and Music Video journey continues! “Time Will Heal Everything” by Anna Gilbert available everywhere digital music is sold. Three New Songs in December … and Happy New Year! Wow! This past holiday season was so musical and fruitful! I was able to be a part of releasing three new Christmas songs in the month of December. I released my own video and version of the Christmas Carol (co-arranged with Wilson Parks), “O Come, O Come Emmanuel”, wrote a song with Peter Hollens called “December Song”, and also co-wrote a Christmas song with Nate Botsford called “Calling on Heaven”. I am super proud of all of these tunes, and hope you will check them out, too! I’ll post the videos below! These songs are all available for download on iTunes, Apple Music, Amazon, and every digital music is sold! Happy New Year! Hey guys! I just got done recording some music in Nashville, TN with Jeremy Larson. I can’t wait to show you these songs. Here are some photos from the studio! Excited for all the instrumentation going on this record. Anna’s NEW Music Video “COMES AROUND AGAIN” is out now! Take a peek at Anna’s new Lyric Video “COMES AROUND AGAIN”. This song is the first track on Anna’s new Summer EP “August Heirlooms”. The video was created by Anna Gilbert and Ashley Spence. Please watch and share! Anna’s latest EP, “August Heirlooms”, is out now! We are so excited to announce that Anna’s new Summer EP “August Heirlooms” is out now! Get it on iTunes! OR you can download the record anywhere music is sold online! ENJOY! Ramzi Rebeiz, a student at OSU, made this wonderful lyric video for Anna’s song “FLY (Meeting You)”. Great job, Ramzi! Thanks for your kindness and support! Anna Gilbert: “New and Noteworthy” artist on iTunes! Catch Anna live in Portland! Make sure and catch Anna and the band live in concert on March 30th, Sunday night, in Portland, OR! 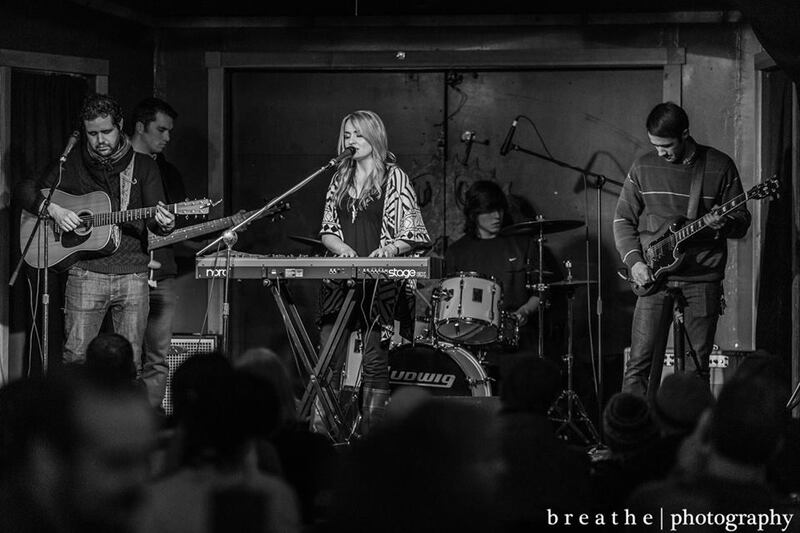 Anna and the band will be playing a concert at one of the most premier venues in the city, Mississippi Studios. Anna will be helping support the record release of Samsel and the Skirt and Nate Botsford — it’s going to be a big party, so don’t miss it! The show starts at 8:00pm and costs $8 at the door. Or you can: Buy your tickets early and save a couple bucks!